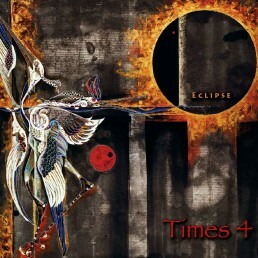 With their third album release, Eclipse, San Francisco-based Soul Jazz quartet Times 4 delivers a fresh set of modern grooves and uplifting jazz improvisation. Along with six new original songs collectively composed for the project, Eclipse also features fresh interpretations of classics by John Coltrane and Ron Carter/Miles Davis. 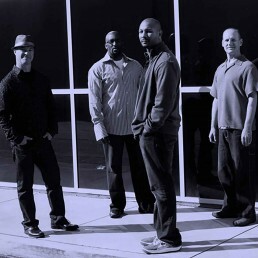 Over 17 years of collaboration and friendship have culminated in Times 4’s unique brand of Soul Jazz. Their joyful musical interplay generates tight, driving grooves, captivating melodies and dynamic improvisations that inspire their audience members, from critical to carefree, to tap their feet and feel dance in their bones. Featuring Lincoln Adler (saxophones), Greg Sankovich (keyboards), Kevin Lofton (bass), and Maurice Miles (drums), the band’s artful and intense musical conversation is steeped in the history of friendship and common roots. Miles and Lofton have been friends and musical collaborators since high school; likewise, Adler and Sankovich continue a musical dialogue that also dates back to their teen years. Times 4 has shared the stage with many esteemed artists including Kem, Anita Baker, Al Jarreau, Bob James and Fourplay, Chris Botti, Dave Koz, Patrice Rushen, Patti Austin, Boney James, Norman Brown and Jonathan Butler. 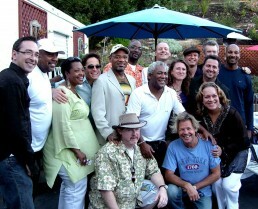 The group has performed at many fine venues, including the JVC Jazz Festival, The Oakland Jazz Festival, Yoshi’s Oakland and S.F., Mountain Winery, Bach Dancing and Dynamite Society, Fillmore Jazz Festival, North Beach Festival, San Jose Jazz Festival, the Boom Boom Room and the Impulse Room. Lincoln Adler started playing various musical instruments at the age of 5, eventually being drawn to the saxophone in high school. Being one of few words in his younger years, Lincoln became fascinated by the power of music to communicate. 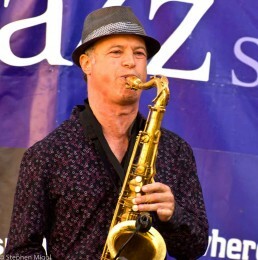 He developed his sound playing in local bands, and refined his abilities at the University of California, Berkeley as a member of the UC Jazz Ensembles. He studied with legendary saxophonist Joe Henderson and local hero Hal Stein. In Los Angeles he became an in-demand session player and composer/producer for TV and film. He released four albums under his own name as well as one with the successful band Rain-bo Tribe. Lincoln has performed and recorded with many artists including actor/pianist Jeff Goldblum, kd lang, and Olivia Newton John. His favorite musical influences include Sonny Rollins, Johnny Griffin, Grover Washington Jr., Stanley Turrentine, Gustav Mahler and Meshell Ndegeocello. Raised in San Jose, California, Maurice Miles is the heartbeat of Times 4. 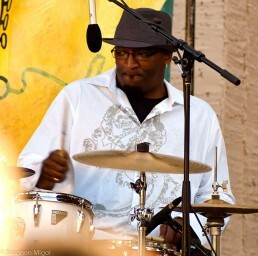 Maurice combines complex elements of jazz, funk and soul in his playing to create a sophisticated, syncopated backbeat. The desire to lay down the groove called out to Maurice from an early age. Mostly self-taught, Maurice’s deep-pocket groove emanates from a combination of feel and his appreciation of many different styles of music. Maurice has played in a diverse range of musical projects, including the R&B band Protégé, acid jazz group Congo Square, and he has toured and recorded with Kofy Brown. His musical inspirations are Dennis Chambers, Vinnie Colaiuta, Will Kennedy, Billy Cobham and Jack DeJohnette, to name a few. Greg Sankovich began music with classical piano when he was six years old and later studied with some of the finest jazz and Latin pianists in the San Francisco area, including pianist/educator Mark Levine. As a youth, Greg played out in the local music scene with a variety of jazz, R&B, and dance bands, and was also active in the UC Jazz Ensembles. He performed with international blues artist Brenda Boykin for three years. Greg lived in Tokyo for over ten years, working with many top Japanese artists as well as contributing his sound to many TV and radio productions. Since moving back to the SF Bay area in 1994, Greg has performed in a wide range of musical projects from jazz to house, hip-hop to pop. 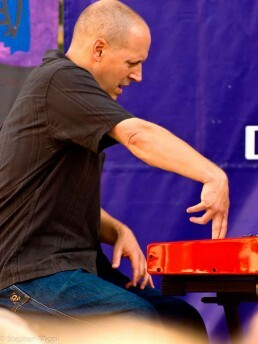 His musical inspirations include Herbie Hancock, Chick Corea, Keith Jarrett, Chester Thompson, and Chuck Leavell. Kevin Lofton is the root and harmonic foundation of Times 4. A San Jose native, Kevin has been playing bass since his early teens. Listening to everything from gospel to hip-hop to metal and jazz, Kevin strives to bring each of these flavors to the Times 4 table. Career highlights include touring the U.S. and Canada with Protégé, Stevie B, and Jahi and the Life along with drummer Maurice. Their years of musical friendship produce a rhythmic conception and energetic foundation from which Times 4 launches their adventurous improvisations. 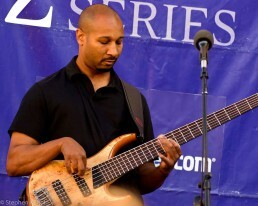 Kevin’s bass influences include Marcus Miller, Victor Wooten, Bootsy Collins, Jaco Pastorius, and Stanley Clarke.